There is an ABC book out there on just about any topic. They range from very simple labeling of basic objects to complex descriptions of specific subjects. ABC books aren’t just for beginning readers. They can teach something to all of us no matter what our age. Let’s look at some interesting ABC books on a variety of subjects. I love when authors write about topics that are meaningful to them. Demarest was a member of a volunteer fire department in New Hampshire when he wrote this book. The text is short, but informative. What is most interesting is that the text follows the real life order firefighters take when fighting a fire from when the alarm (A) sounds all the way to zipping (Z) into bed for a rest. He ends the book with an author’s note filled with fascinating and important information about fires. Here is another book where the author has some real-life experience with the subject. 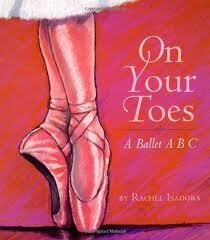 Isadora was a ballet dancer with the Boston Ballet before she became a successful writer and illustrator. Her colored pastel illustrations will capture the attention of any child dreaming of being a dancer. I will say that it’s helpful to have some background knowledge on the subject to understand some of the vocabulary such as pas de chat and harlequin. Although, Isadora does include a glossary for each word she depicts in her ABC book. 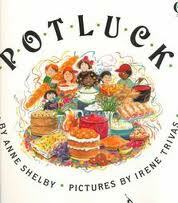 Potluck is one of my favorites. Maybe it’s so well liked because it revolves around food! Some friends get together for a potluck and each person brings an item that begins with the first letter of their name. Lonnie loves lasagna, so he brought lots of that. Monica made mounds and mounds of mashed potatoes. Norman knew that oodles of noodles would be needed. I’ve used this book countless times in the classroom. One of my favorite activities was to create a class book with each student writing and illustrating a page for our own potluck book. The students always had a fun time researching a food that began with the letter of their first name. I’ve also used the book as an administrator when we held a potluck lunch for a staff development day. Each participant signed up to bring an item that began with the first letter of their first or last name. I created a sign-up sheet on chart paper labeled with the ABCs down the side for each participant to record their dish. This book will educate a train enthusiast. I’m guessing this will be a favorite of my oldest son when he gets a bit bigger. The illustrations are photographs of trains and all things train related. Diesel engines, junction, signals and freight cars are just a few words that you’ll pick up in this informational book. This book is just one of Pallotta’s 24 ABC books that he has written in addition to several other books. Each of his ABC books is loaded with information on the topic he is covering. 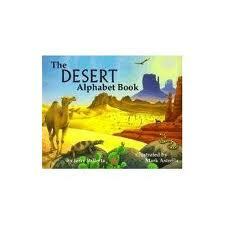 In The Desert Alphabet Book you will learn facts such as a Headstanding Beetle stands on its head to collect droplets of water on its body that then slide down to its mouth. 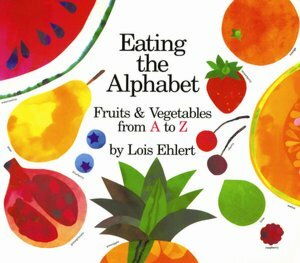 This is a great book to introduce children to new vegetables and fruits. In fact, it would work well with the tasting passports that I talked about last week! This is a very bold and colorful labeling book. Ehlert includes a very detailed glossary at the end of the book. Did you know that celery is native to the Mediterranean area and the Middle East and was cultivated by the Romans? It has always fascinated me that hurricanes have people names and that every hurricane for each season is named in ABC order. 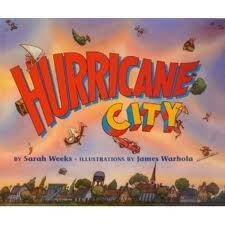 This silly tale revolves around the havoc that different named hurricanes have on towns. Father lost what hair he had. This is a great book for the spring as we begin to plant our gardens. 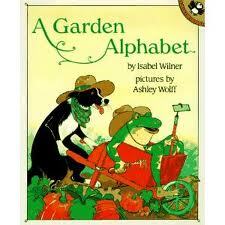 Travel through the alphabet as a garden is planted, nurtured and harvested. The simple text is perfect for the preschool crowd. 26 words in ABC order that all have the little word “ant” in them! Yep, who would have thought that they all existed. Hepworth showcases them in this clever book. Flamboyant, gallant and hesitant just to name a few. How many more can you think of? This ABC book is actually a story. 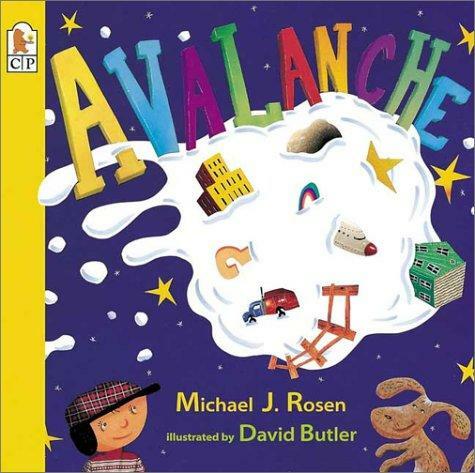 The author highlights the alphabet during the tale of a snowball that grows into an avalanche while collecting items in its path. 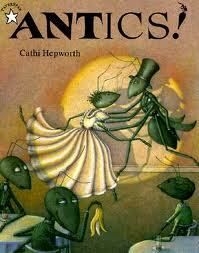 This is a fun twist on the predictable type of ABC books we are familiar with reading. So here are ten of my favorites. What ABC books are you fond of? Let’s grow the list even more. Please check out my linky party directory to see where this post has been linked to this week. This is an awesome list of ABC books! Your blog is always interesting. 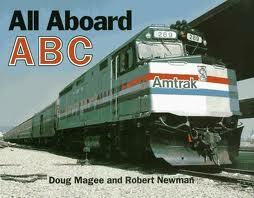 I am looking forward to reading the ABC Train book with Gabriel. Thanks for sharing some great ABC books. Couldn’t believe there was an ABC PB on hurricanes. As I looked at the books, I found myself thinking of course, why didn’t I think of that! Nice post.